Who says creative improvisation is for grownups only? 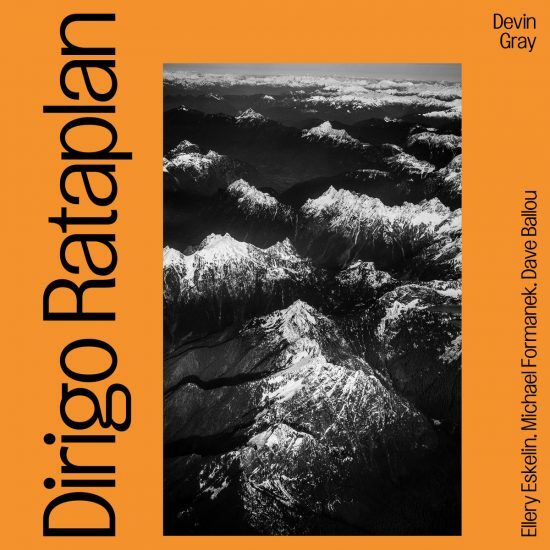 Devin Gray’s Dirigo Rataplan I was party improvisation suitable for 4H Clubs, county fairs, and dancing toddlers. Dirigo Rataplan II dials back the merriment, but not the joy of improvising over compelling themes. Again accompanied by tenor saxophonist Ellery Eskelin, trumpeter Dave Ballou, and bassist Michael Formanek, Gray the drummer rolls his tubs like a mad brew of equal parts Han Bennink and Ed Blackwell. Gray the composer, meanwhile, twines serious themes with jubilant improvisations. No matter the mood or groove, there’s a lightness, a sense of quiet celebration in every tune. Opener “Congruently” sounds like a maze conceived between 4 and 5 a.m., its gaiety serving a knotty swing pulse. “Rollin’ Thru Town” is demure by comparison, Gray dropping dry cogitations to Eskelin and Ballou’s crisscrossing solos. The quiet conversation continues in “Trends of Trending,” as Gray percolates a light, rim-driven rhythm beneath Formanek’s slippery bass melody. Formanek plays admirably throughout, his warm tone, silken pacing, and wellspring of melodic ideas a consistent driver. On “Texicate,” Gray rattles his kit as Eskelin nudges from all sides, with Ballou firing darts from above. Billowing brushwork motivates “What We Learn from Cities,” maintaining the album’s overall low-key demeanor. Closer “Micro Dosage” threatens to upset the feeling of relative calm, but even its clipped phrases can’t dispel the notion of free jazz for night-owls, shadowy rumblings against a dark but clear backdrop. Preview, buy or download Dirigo Rataplan II on Amazon!